If you read my article on common freelance writing misconceptions, you likely already know the answer to this question, so I’ll get straight to the answer. 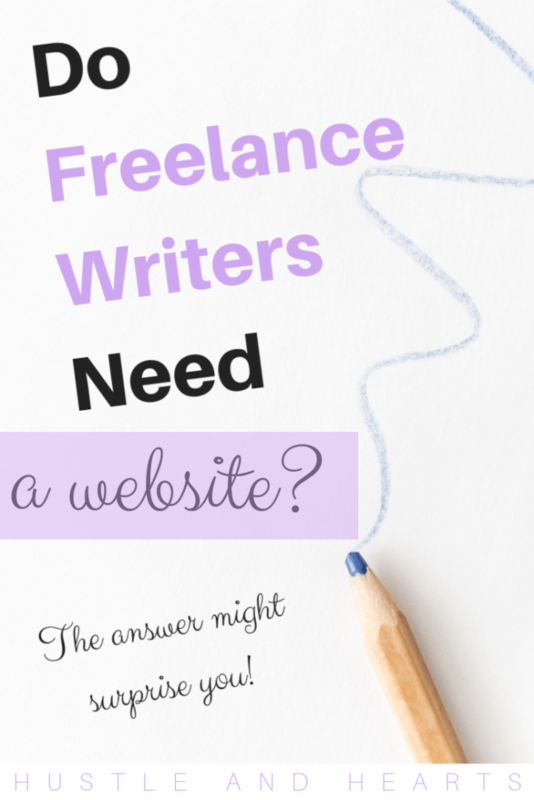 No, freelance writers do not need a freelance writing website in order to be successful. Now, having said that, does that mean that having a freelance writing website is going to hurt you, or that it’s somehow a bad idea to have one? 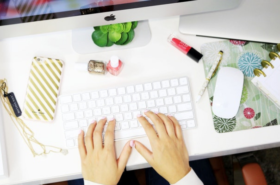 There are about a billion different ways you can start a freelance writing business. 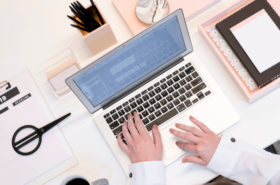 Some people choose to make a website in order to present their services, and other people, like myself, choose to use a platform like Upwork in order to start off their freelance writing careers. And guess what? Neither one of these ways is better than the other. They’re just different ways that are going to suit different people with different goals. If you’re an aspiring freelance writer who doesn’t want to build a website, or is just looking for a simplified method to get your career off the ground, I think you’ll like my approach to freelance writing. So first, let me tell you about my approach to freelance writing, and how you can get away with not having your own website. So, like I said, there are a lot of aspiring freelancers who start their websites in order to present their services. The website acts as their virtual storefront, essentially. However, for me, when I was just starting and had no contacts, I wasn’t sure how I was going to drive people to a website. Plus, in hindsight, setting up a website for something that I wasn’t even sure about yet seemed like a hell of a lot of work (I’ve been known to get excited about ideas, start them and then lose my passion). And so, I decided to start marketing myself on Upwork instead. And really, by “marketing,” I simply mean taking on any and all projects that I could in order to build a solid reputation for myself through client feedback and testimonials. With this method, I didn’t need to be driving potential clients to a website, or advertising my services. Instead, with Upwork, I was able to find my clients right on the platform, meaning every job that I ever took was always displayed right on my Upwork profile page, without me having to lift a finger. Now, I did have to write a little blurb about myself, and there is a portfolio section where you can show off your writing, so there is some work involved in getting your profile/portfolio setup, but in comparison to building a website for something so unknown, starting on Upwork made the most sense for me. At this point, though, you’re probably wondering how exactly to get started on Upwork. It can’t be as simple as just signing up on the platform and then having all these great jobs headed your way. Otherwise, everyone would be doing it. And you’re correct in that assumption. It’s not that easy or basic. The first thing you’re going to have to do is get approved to use Upwork. Because no, not everyone who wants to use the platform can. Upwork first wants to ensure that you have some skills to bring to their platform. Trust me, though, if you’re smart about it and you show off a wide range of skills when you’re applying, you should be able to get yourself approved. But really, the main thing I always suggest when trying to get your Upwork profile approved is to show off a wide variety of skills to demonstrate that you’re not just the average writer. You can do more than write. Next, you’re going to have to start finding jobs. Once again, I have a full section on this in my ebook, but the main thing I want to get across right now is that it’s okay to start small. 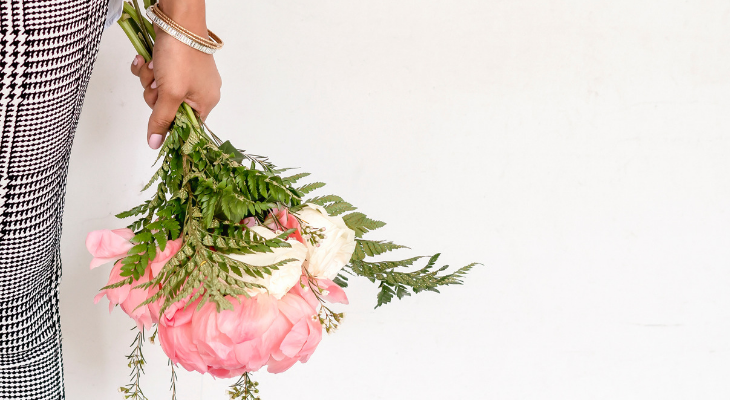 I know you’re probably excited to get your career off the ground, and you’re just itching to start landing some major clients. But here’s the thing: when you’re just starting, it’s important to start small, gain some skills, and work like hell to get solid testimonials for your profile. In my opinion, that’s one of the key defining criteria for success on Upwork. After that, once you get the ball rolling, and you start getting a feeling for what writing projects you excel at, the sky’s the limit. Take on a full workload, or just let it slowly build. With Upwork, there’s always more jobs available. Sure, not every client you ever reach out to is going to pick you to be the freelancer they hire, but honestly, for me, I’d much rather pitch my services to people who are actually looking for clients, rather than cold pitching and hoping I can get someone to check out my website. And yes, you are correct. Clearly I do have a website. However, if you take a look around, you’ll likely notice that I don’t even have a work with me page, and I don’t advertise my services. This isn’t exactly intentional. It’s simply because I started this blog as a fun side project, rather than as a way to highlight my freelance writing services. Does that mean I’ll never use this website to market my services? Or that I think having a freelance writing website is bad? In fact, if you’re someone who wants to build a website and the idea of doing so excites you, then I say go for it! In today’s day and age, having an online presence is great. Plus, anything that you write on your website, you can always use within your portfolio to show potential clients your writing style. I’ll also mention here that even though I don’t advertise my services on this website, I actually do have one client who found me through my blog and hired me based on my writing for Hustle and Hearts. Had I never started this blog, I obviously wouldn’t have had that. So, long story not so short, in my opinion, one of the best way you can start freelance writing is to get signed up on Upwork, experiment with what you want to do, see if you enjoy writing for a living, and then, if you do, set up a website. It doesn’t have to be anything too fancy or over-the-top. In fact, I started this blog using a free theme, and just wrote a couple articles here and there. I know the tendency is to go all in, right away, but trust me, as someone who is notorious for letting her ideas get away with her, it is always best to start slow, and to simplify what you’re doing as much as possible. And then, from there, you can let it build. That’s how I’ve managed to start my freelance writing career without a website. 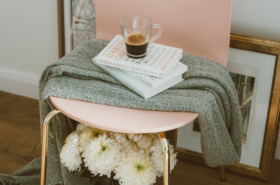 If you’re interested in learning more about freelance writing and how you can use this method, feel free to give my ebook a peek to see what it’s all about. 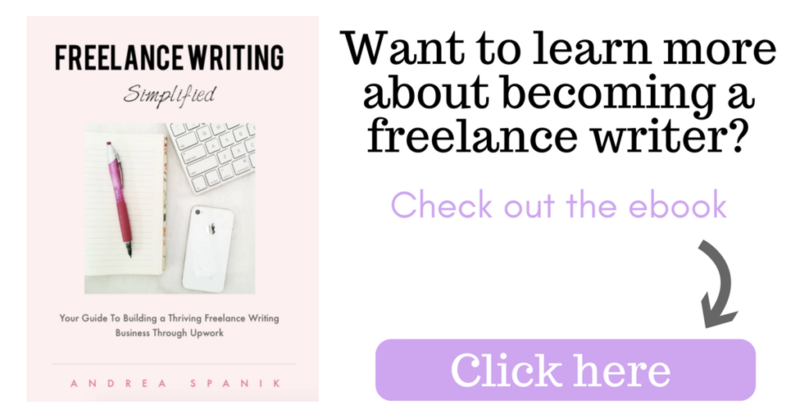 I hope it can help get your freelance writing career off on the right foot!